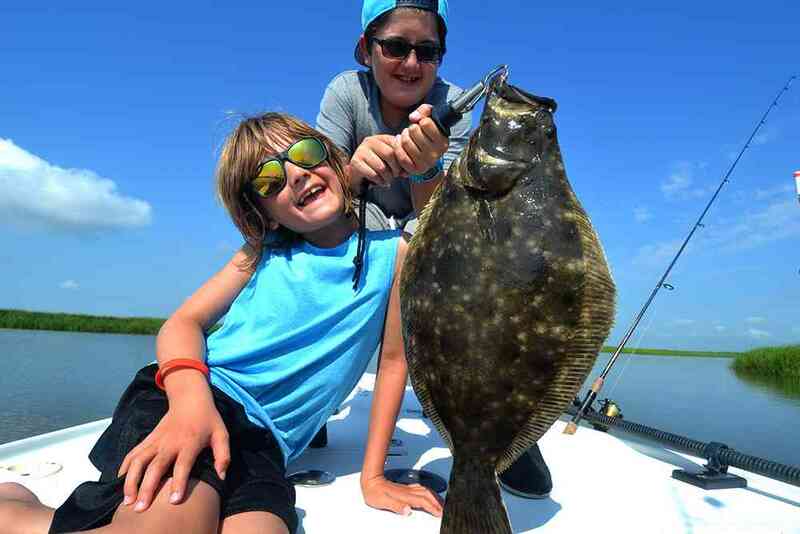 Flounder fishing is very popular here in Myrtle Beach due to a healthy population and the excellent table fare these fish offer; therefore we offer fishing charters that target flounder specifically. Flounder are a very peculiar fish with two eyes on one side of its body and it’s natural ability to blend into its surroundings. 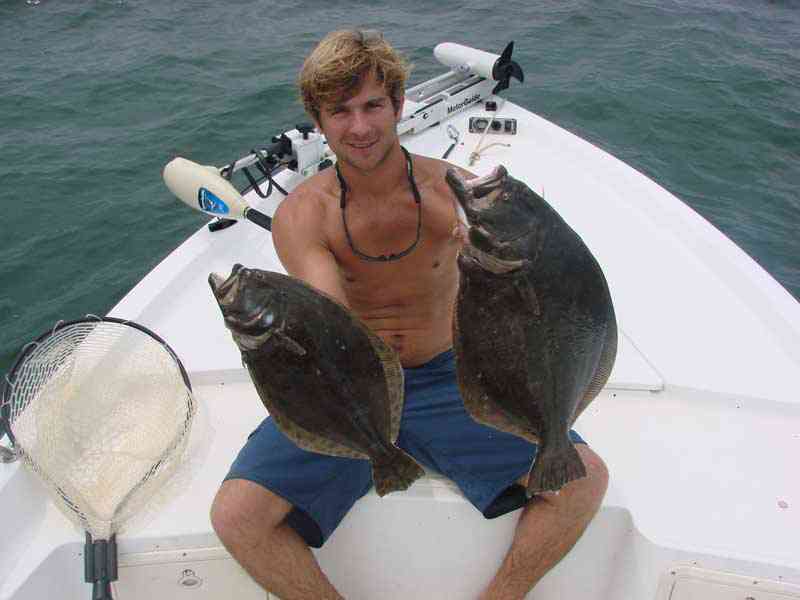 Flounder are very aggressive feeders and are willing to eat artificial lures, flies, as well as live minnows or shrimp. 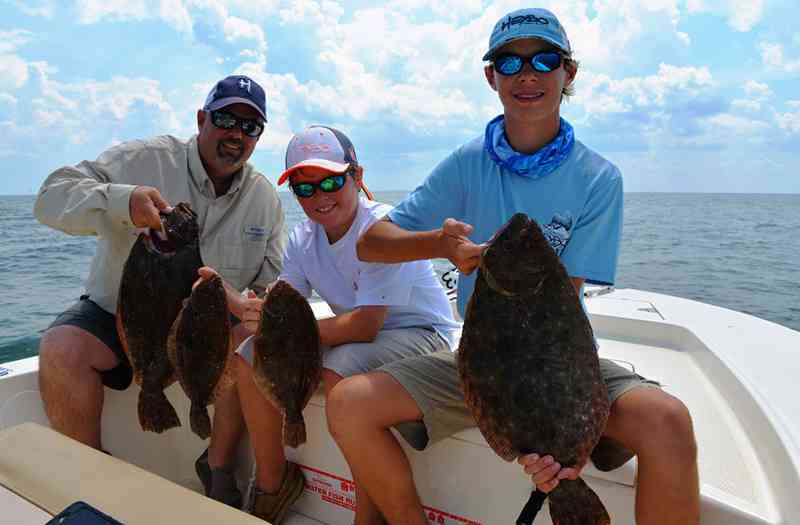 Where do you fish for Flounder? 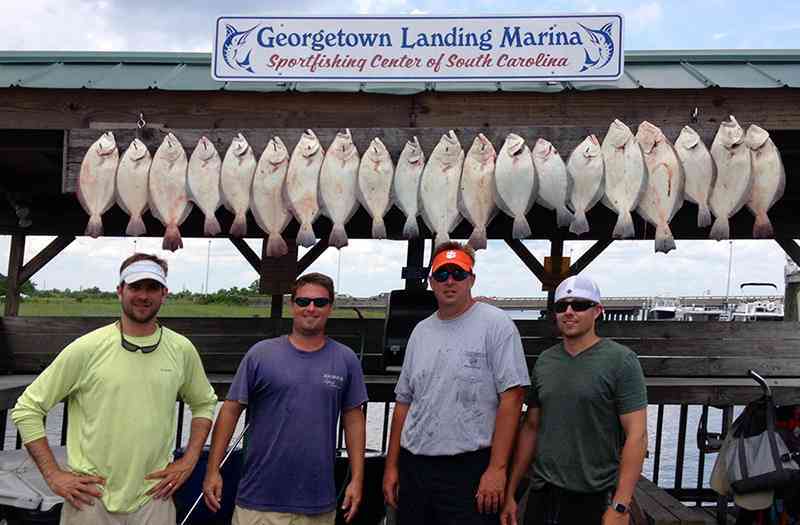 The majority of Flounder fishing that we do is in the creeks, inlets, and jetties to the south of Myrtle Beach. Likely ambush spots of small feeder creeks that empty into a larger body of water, as well as structure like docks and jetties. 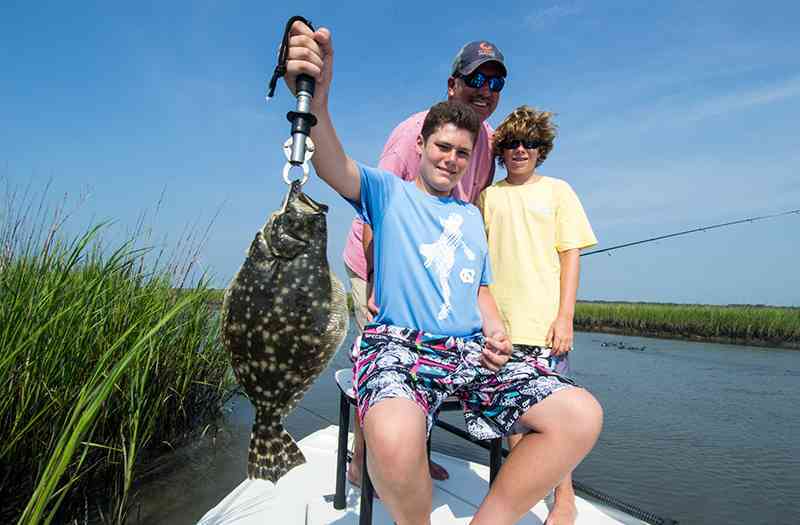 Popular areas to target flounder are Murrells Inlet, Pawleys Creek, and Winyah Bay. 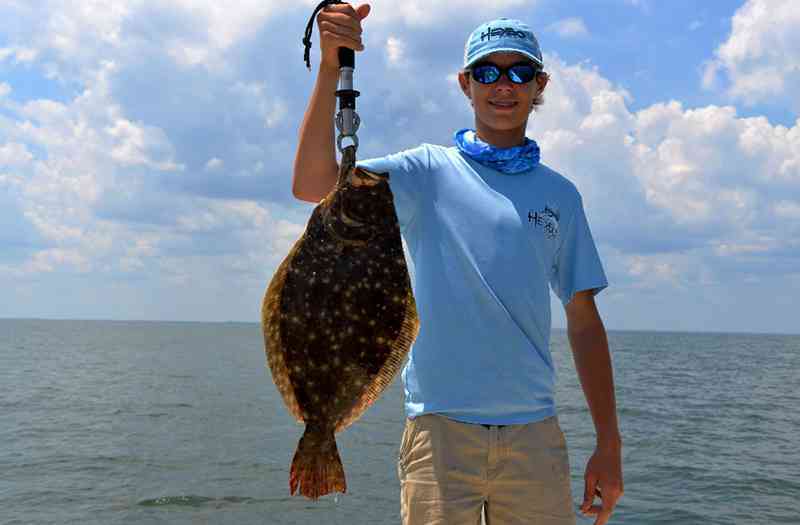 When to fish for Flounder? Flounder will spend the majority of the Winter at their overwinter grounds offshore in the ocean. When Spring arrives, Flounder will begin to migrate back into the shallow estuaries to spawn and feed. Flounder will remain in the shallow estuaries throughout the Summer and Fall before returning to their overwinter grounds in early December. 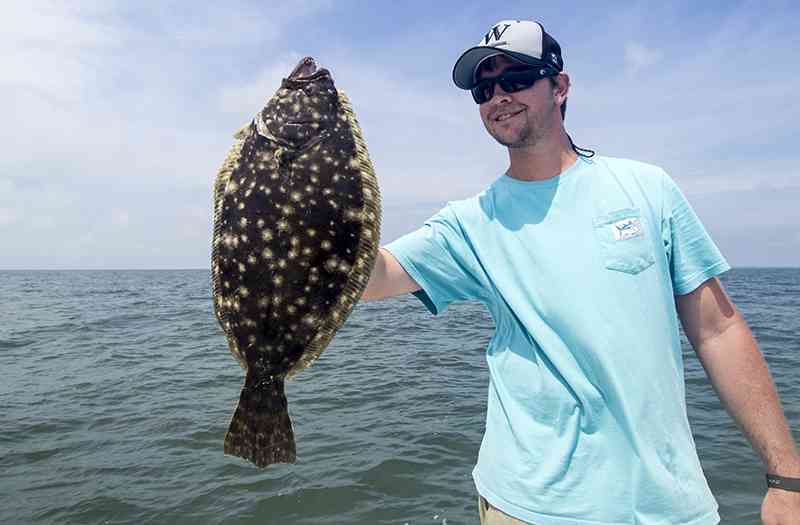 While many old timers will tell you there is an art to catching Flounder on a consistent basis, they are fairly easy to catch with some basic instruction. 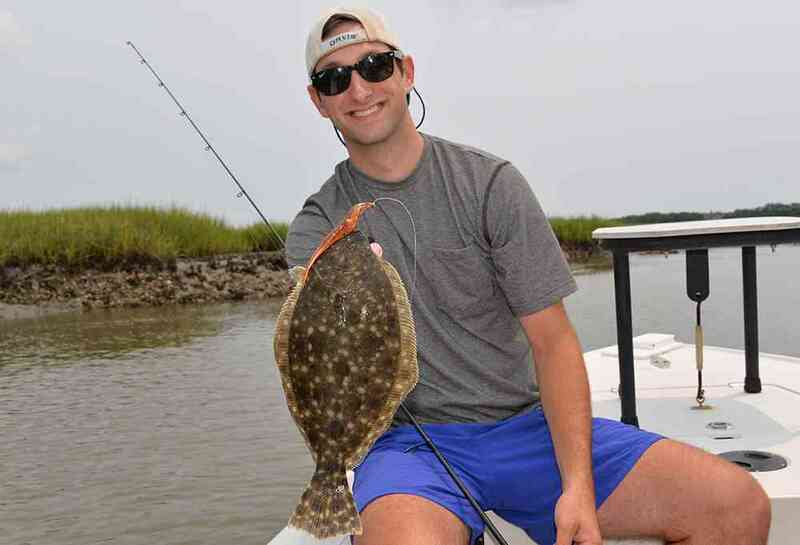 Captain Jordan will provide all the tools and instruction necessary to have a successful flounder fishing trip in Myrtle Beach. 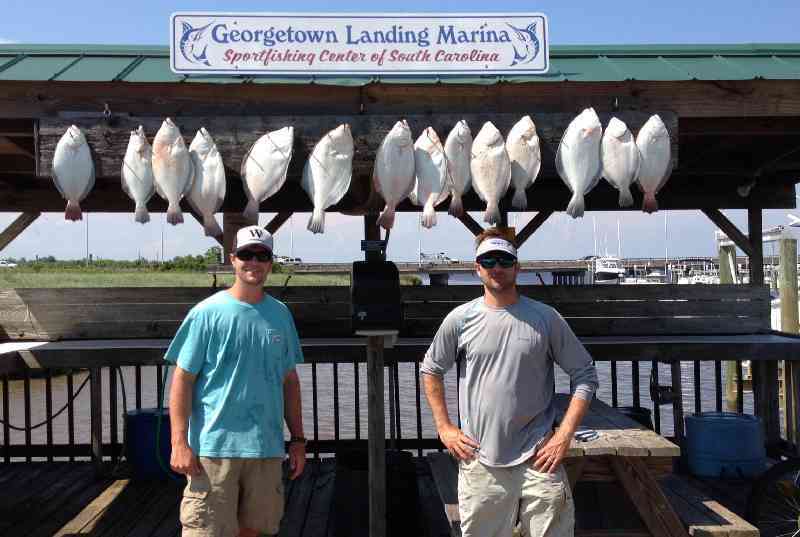 South Carolina regulations require that Flounder meet a minimum of 14in before they can be harvested. Flounder are very abundant in the Myrtle Beach area and there aren’t many legal sized flounder that make it back to the water(maybe a pot of hot grease).